A key figure in such academic areas as semiology, structuralism, and post-structuralism, and author of such theoretical classics as Mythologies, The Pleasure of the Text, and S/Z, Roland Barthes is familiar to students across the humanities. His prolific output encompassed books on literary theory, philosophy, linguistics, anthropology, and theoretical essays on photography, music, fashion, sports, and love. In addition to his wide-ranging writings, Barthes lectured in the U.S., Switzerland, and at the Collège de France, where he was elected Chair of Semiology in 1977. Barthes’ 1978-1980 lecture course at the Collège de France—titled The Preparation of the Novel—has been preserved in an English translation by Kate Briggs. 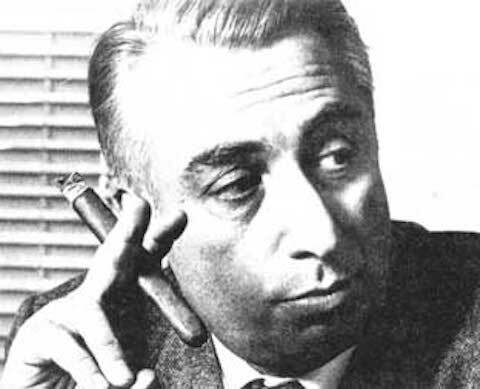 Speakers of French, however, can hear Barthes himself deliver the lecture series in audio archived at Ubuweb. Listen to the first session from December, 1978 at the top of the post, and hear the fifth, with some musical accompaniment, above. Delivered shortly after publication of the seminal texts mentioned above, these lectures, writes editor Nathalie Léger in her introduction, “form a diptych—the two parts can be accessed independently of each other, yet each one is indispensable to the other.” The last two lecture courses Barthes taught at the Collège de France, both, Léger writes, represent not a systematic theory, but “the peregrination of a quest,” exploring “one question and one question only: that of literary utopia.” Such probing investigations propelled Barthes’ entire career, and opened up new critical paths for a great many thinkers who dared to trace his winding intellectual steps and often intensely personal explorations. La Préparation du roman will be added to our list of Free Online Literature Courses, part of our larger collection, 1,300 Free Online Courses from Top Universities.